Sign up and receive Property Email Alerts of Freestandings for sale in Brettenwood Coastal Estate, Ballito. 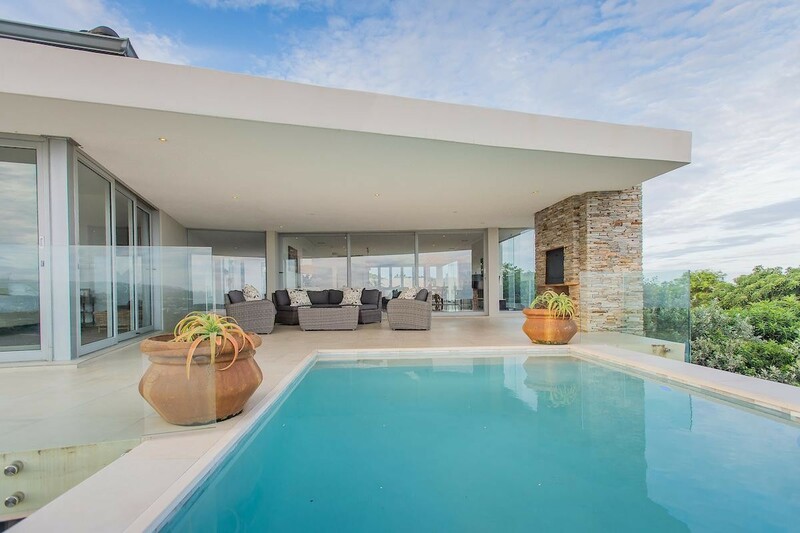 This elegant contemporary home exudes sophistication offering 180 degree, elevated sea views. The upstairs living area interacts fully with the outdoors which provides two outdoor entertainment spaces. Open plan kitchen with Smeg appliances throughout and high end finishes provide the heart of the home with the style and class it portrays. The master suites doors slide right back to bring the outdoors in and the expansive sea views closer from the comfort of your bed. Sign-up and receive Property Email Alerts of Freestandings for sale in Brettenwood Coastal Estate, Ballito.